Be sure to check out the calendar of events in the right column of this page. We've added lots of events for the entire year, including lectures, competitions, and our annual auction. Lectures are subject to change, so be sure to bookmark this page and check often. Join us at our next meeting for a lecture by Netherlands-based Fritz Alkemade. Fritz Alkemade's stage show "Let's Go Dutch" sold out shows in the Netherlands, Scotland, and Romania. In the latter show, he received the "International MagicArtFest Award." This is Fritz's current working card magic repertoire, featuring an amazing collection of practical card effects that were designed for performing in the real world. Now you can learn these routines that will astonish your audience. 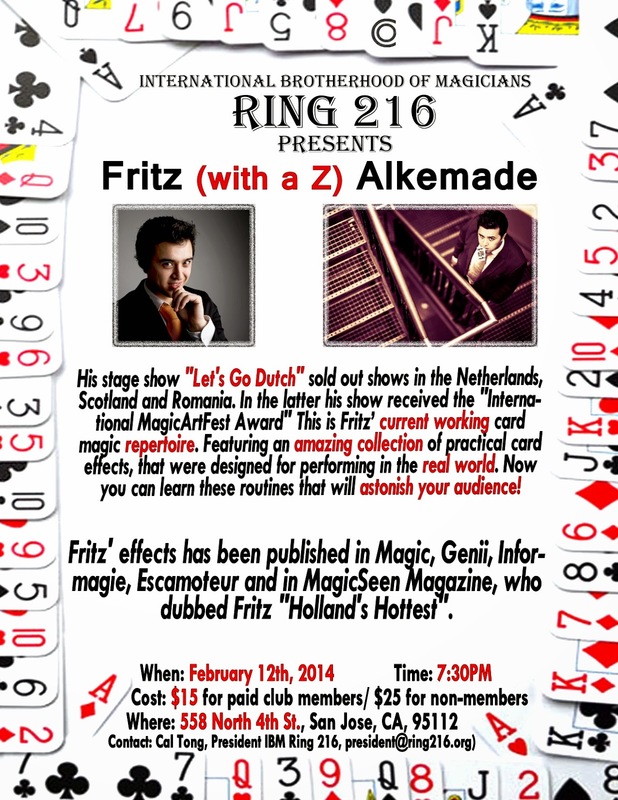 Fritz's effects have been published in Magic, Genii, Informagie, Escamoteur, and MagicSeen, who dubbed Fritz "Holland's Hottest." Learn more about Fritz by visiting his website. Join us for a lecture from the great Pop Haydn. Pop will be discussing the School for Scoundrels and how the study of pitchmen con men can affect the way we do magic. Routines discussed will include Comedy Four Ring Routine, Mongolian Pop-Knot, Routine for the Blind, Chicago Surprise, Intricate Web of Distraction, Shell Game, Three Card Monte, Fast and Loose, and more. 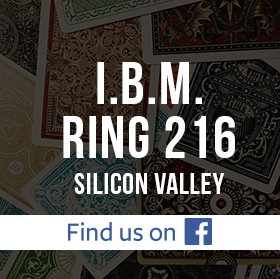 The cost will be $15 for Ring 216 members / $25 for non-members. The lecture will begin at 7:30pm sharp. Members, our treasurer will be there to collect $25 for your Ring 216 dues for 2014. 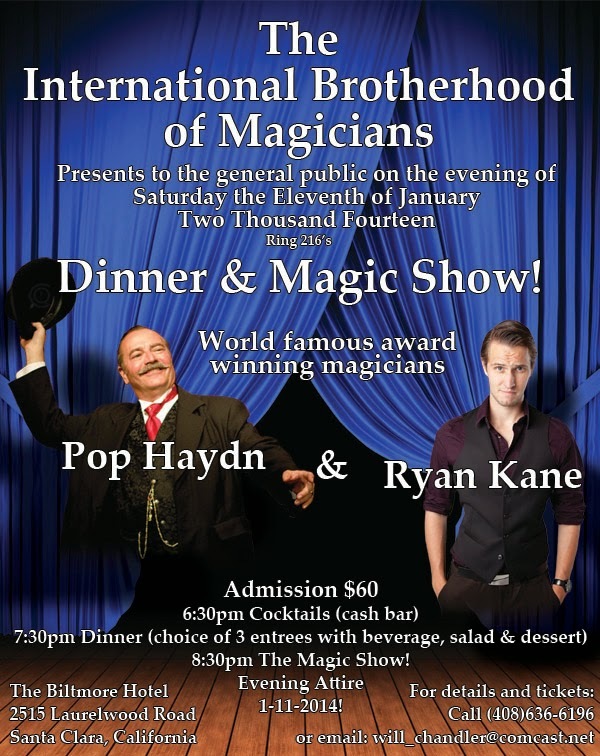 There are still a few tickets left now on sale for Ring 216’s 2013 Awards, Banquet and BIG Show featuring Pop Haydn and Ryan Kane! 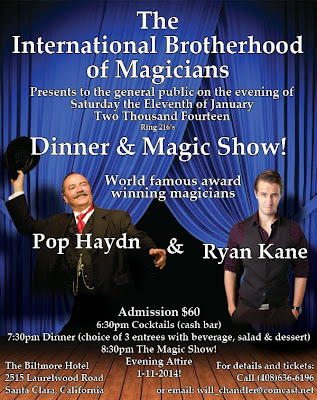 6:30 PM Cocktails, 7:30 PM Dinner, 8:30 PM Magic Show!